Gayle Bull describes the line-up for this weekend’s Haiku Retreat. Gayle’s support and encouragement of haiku poets is why Mineral Point is known as a haiku haven. Haikuists from around the country and Canada will be descending on Mineral Point, Wisconsin this weekend, July 10–12, for the semi-annual Haiku Retreat. The opening reception Friday night, July 10th, from 6:00-8:00 pm at Foundry Books will feature music by Rick Harris, the release of HAIKU 2015 by Lee Gurga and Scott Metz, an open haiku reading, and a presentation by Gurga, a widely published haiku poet and essayist and former president of the Haiku Society of America. The Little Free Library at Foundry Books is a place to leave haiku and read haiku left by others. Workshop #1: What’s Lurking. Jumpstart your own haiku through the inspirational work of others. Workshop #2: A First for Everything: Haiku A-Z. Search out the persons, places and events that gave your life a new direction or way of seeing the world as a source for haiku. Saturday will end with a pasty dinner and open reading at The Walker House. Sunday morning, July 12, will feature a ginko walk at Ruth Ann Schmitt’s farm on Lawinger Road and a luncheon at the Gray Dog Deli. Throughout the weekend, there will also be several critique sessions for poets including group and individual sessions for haiku, senryu, haibun and haiga. Several excellent haiku poets and journal editors will be involved in the critique sessions including Charles Trumbull, Bill Pauly, Francine Banwarth, Michele Root-Bernstein, Lee Gurga, Jerome Cushman, Melissa Allen, Mike Montreuil, Lidia Rozmus and Aubrie Cox. The cost for the weekend’s events, which includes Friday’s opening reception and Saturday’s dinner, is $35. 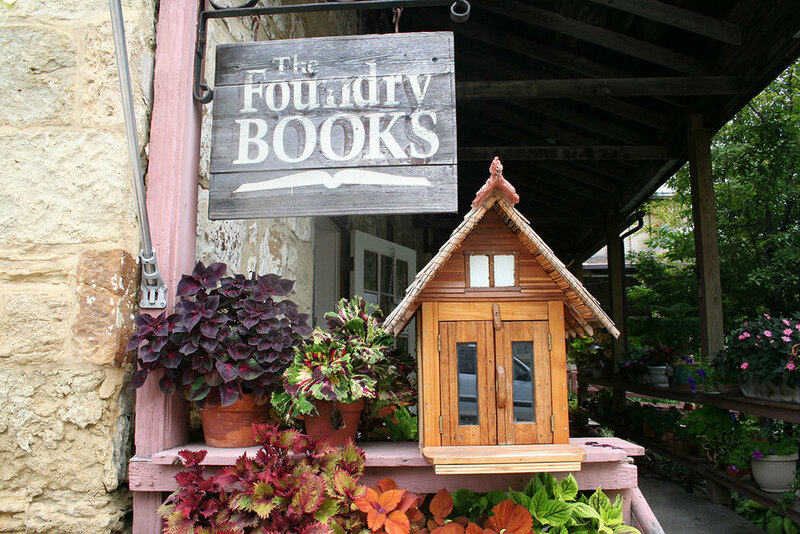 For more information, contact Gayle Bull at The Foundry Books/ 105 Commerce Street/Mineral Point, Wi, 53565/ phone 608-987-4363 or email info@foundrybooks.com. This entry was posted in Upcoming Events and tagged Foundry Books, Gayle Bull, Haiku, Lee Gurga, Mineral Point, The Walker House, Tom Painting. Bookmark the permalink.